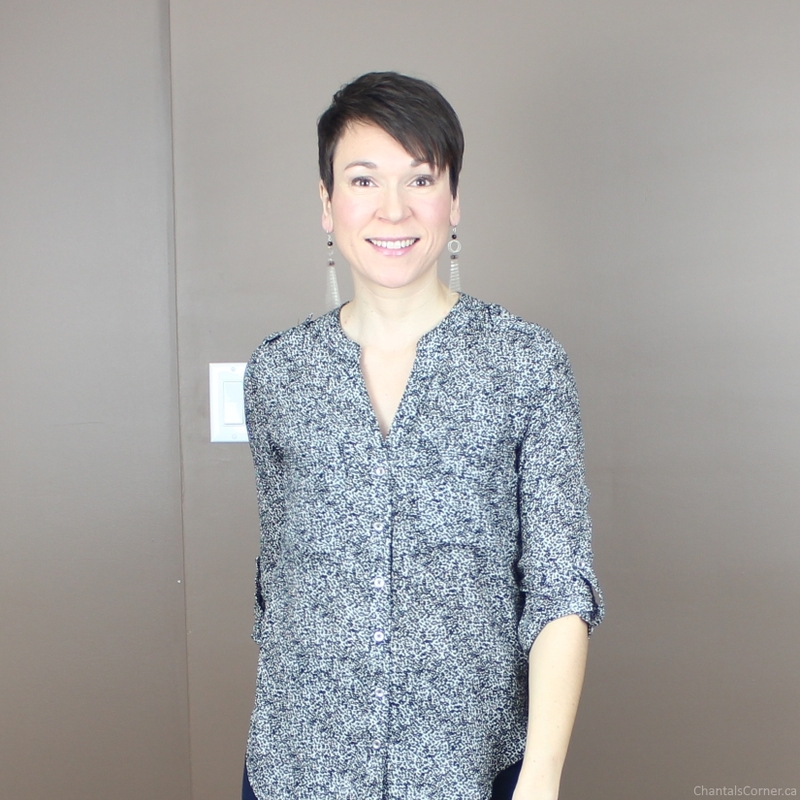 Part of my natural journey is to learn more about the ingredients in the products I use and while I was listing the ingredients in my previous posts, that didn’t offer much help if you didn’t know what they were – especially since a lot of ingredients can sound chemical-y to someone like me who knows very little about them and where they come from. One of the blogs I read, Lindseyginge, actually explains where the ingredients come from and what they do and I really like that so I’ve decided to start doing it too. Some ingredients are quite self-explanatory, but I’ll still elaborate on their origin. I won’t go into details about their uses because some of them can have a variety of different uses (and the uses can vary depending on what site you’re reading). But some of them are quite obvious (like pigments) so I’ll offer some clarity here and there. I’ve been learning so much more since I started doing this! I hope you’ll find it useful too. Carthamus Tinctorius (Safflower Oil) – Extracted from the seeds of the Safflower plant. Euphorbia Cerifera (Candelilla) Wax – Derived from the leaves of the small Candelilla shrub. Simmondsia Chinensis (Jojoba) Esters – Made from Jojoba Oil. Cocos Nucifera (Coconut) Oil – Extracted from the kernels of the seeds of Coconut palms. Theobroma Cacao (Cocoa) Butter – Extracted from the roasted seeds of Cacao trees. Simmondsia Chinensis (Jojoba) Seed Oil – Extracted from seeds of the Jojoba desert shrub. Olea Europaea (Olive) Oil – Extracted from the ripe fruit of olive trees. Parfum (Natural) – Fragrance derived from natural sources. Tocopherol Eupatorium Rebaudianum Bertoni (Stevia) Leaf Extract – Extracted from the leaves of the Stevia plant. Calcium Sodium Borosilicate – A bright glitter-like pigment made from finely crushed glass. Eclipta Prostrata Extract (Natural Color) – Extracted from a plant commonly known as false daisy. Melia Azadirachta (Neem) Leaf Extract – Extracted from the leaves of the Neem plant. Manganese Violet CI 77742 – A synthetic pigment. Titanium Dioxide CI 77891 – An inorganic compound used as colorant (white) or sunscreen. Iron Oxides CI 77491 & CI 77492 – Inorganic chemicals used as colorants (red & yellow). These are synthetic in the US. Mica – A naturally occurring group of silicate minerals used as colorants. Tin Oxide – An inorganic oxide that is naturally found in mineral form used as viscosity control. While some of these ingredients might sound scary (mostly in the may contain list), they all score low on CosDNA. And the two ingredients missing a score on CosDNA score a 1 on EWG’s Skin Deep. This product is 100% vegan, cruelty-free, and formulated without Carmine, talc, FD&C color, parabens and petroleum. Alright, back to the lip gloss! 😉 It has a doe foot applicator that works really well. 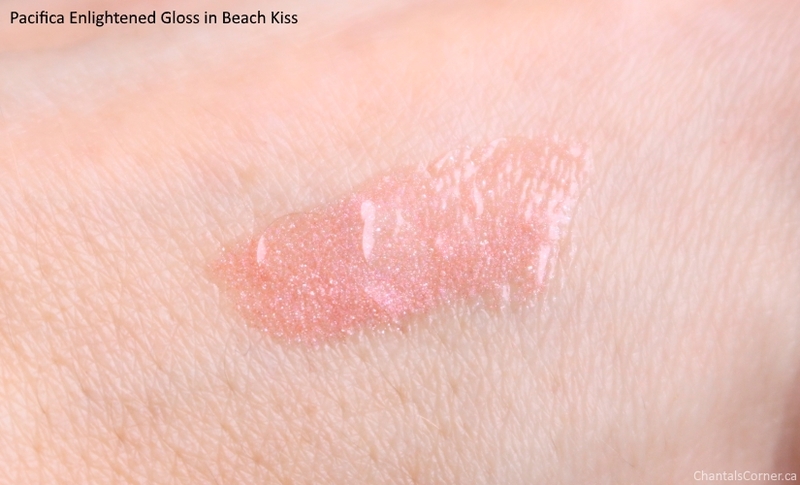 Beach Kiss is described as a pearly pale pink and I find that it suits it well. It almost looks like the base is actually clear and it’s just full of colour particles and glitter. I kind of expected this gloss to feel gritty on the lips because of the glitter, but I can happily say that it does not! On me I find that this gloss look like my natural colour, maybe a wee bit lighter, and adds a TON of shine! This is the lippie that I wore in my latest two fashion posts. Supernatural shine, super smooth and non-sticky with nourishing hydration and long lasting natural color. Our Enlightened Natural Lip Gloss is infused with coconut and antioxidants to help support superior lip health. I agree that this gloss is non-sticky. I do find it a bit tacky though which I find helps it last longer than if it wasn’t. It feels really comfortable on the lips and keeps mine well moisturized. My lips don’t feel parched once this gloss has worn off so that’s a good thing. I drink a lot during the day, and I mean A LOT, so I find I have to reapply every hour or so. I just do a quick swipe on my lower lip and rub it around, I don’t have to reapply everywhere like if I didn’t have any on. After all of this is said and done I think you can already guess that I’m a fan of this gloss! 🙂 There are four other shades available and I want them all! You can get these glosses on Well.ca for $14 CAD each. If you’re a first-time buyer on Well.ca you can save $10 on your order of $40 or more with my code below. Do you have any glosses from Pacifica? Any other makeup from them?